From July 29 through August 2, 2012, for the first time in the history of the Society of Jesus, with the encouragement of Father General, and under the guidance of the International Commission on the Apostolate of Jesuit Education, the leaders of our secondary schools from around the world assembled in Boston, Massachusetts, U.S.A. Their goal was to strengthen our global network by providing a venue to share ideas and resources and to discuss their strengths and challenges in the light of our Jesuit mission and identity as expressedin the documents from the Thirty-fifth General Congregation of the Society of Jesus. opportunities for a truly global education. Our international network of schools is uniquely suited to educate global citizens who will be able to participate in a globalization of solidarity, cooperation, and reconciliation that fully respects human life and dignity, and all of God’s creation. Our commitment to networking as a universal body, and our call to the frontiers, comes from our awareness of the world and our desire to effectively help students face global challenges. Developing our truly unique global community and network. Our ability to respect and participate in our own situation, and yet be mindful of our universal identity and mission as Jesuit schools, is one of our greatest resources and unparalleled in the world. Working with our established local and regional networks. While remaining committed to our regional priorities, we will at the same time focus on the importance of nurturing global relationships within the Jesuit network and other networks of secondary schools. Using technology as a way to create, develop and foster our global relationships. We recognize that the physical distance that has historically formed significant obstacles to our communication still exists, but that it should no longer prohibit global communication and collaboration. We will provide opportunities for our students and staff to experience the world from a vantage point made possible by the vast reach of our network. Developing twinning relationships, service outreach programs, virtual classroom experiences, and more, to provide students with experiences that truly prepare them to become leaders in the transformation of the world. 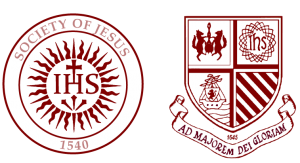 The momentum of the International Colloquium on Jesuit Secondary Education impels us to develop new and creative collaborative efforts amongst the global network of Jesuit secondary schools. These new efforts will fall under the leadership of the Secretariat of Secondary and Pre-Secondary Education and the International Commission on the Apostolate of Jesuit Education. The Jesuit secondary schools represented at the ICJSE recognize the importance of assigning a member of its leadership team the responsibility of facilitating global collaboration and outreach to the global network. These representatives will work with already existing networks and structures to ensure that the efforts started at the ICJSE continue. We recommend that the ICJSE newsletter and webpage continue as a forum for global communication,collaboration, and networking. This newsletter will ensure that our global network has a specific avenue to regularly communicate, share network initiatives, express desires for collaboration, and engage in conversation and share resources. We recommend that this Colloquium experience should be continued in the future and that plans should be made for the next colloquium to take place in 2016 or 2017 at a time and place to be determined.